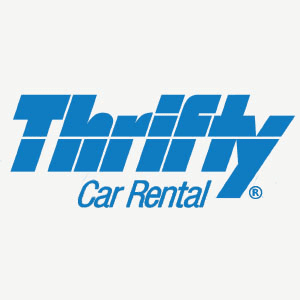 Thrifty provides car and vehicle hire across New Zealand. It is fully owned by Australia’s NRMA Motoring and Services, a leading motoring and travel organisation, most famous for roadside assistance. It has about 2000 employees across Australia and NZ. Thrifty NZ, with its 128 employees, boasts NRMA’s best performing Yammer group. NRMA has been gradually rolling out Microsoft’s ESN Yammer over the past seven years. It implemented Yammer with the goal of better connecting employees, improving internal communication and collaboration, providing a better platform to share knowledge and solve real business challenges facing teams today. But is it working? Are employees better connected? Are they collaborating? To answer those questions, NRMA’s Group Intranet and Collaboration Manager Holly Payne turned to SWOOP Analytics for help. It’s building the personal relationships that makes Thrifty’s Yammer community so successful because it’s the foundation of a strong network, according to SWOOP Chief Scientist Laurence Lock Lee. That eventually leads to a greater return on investment for businesses and happier employees. Dr Lock Lee says Thrifty NZ is a great example of a mature Yammer network. Once Thrifty NZ made the decision to adopt Yammer, Lesley Miles, who oversees the Yammer group at Thrifty NZ, said the senior leadership team led by example and started engaging employees by posting on Yammer. “That’s what people crave for. Being inspired and engaged by leadership,” Dr Lock Lee said. Ms Miles said email is now rarely used for communication at Thrifty NZ. However, Ms Payne confessed there are varying degrees of Yammer maturity across groups in NRMA, and Thrifty NZ is a great use case to learn from. “We can see on SWOOP there is more opportunity to grow our network,” she said. “Being a diverse organisation, there is no one size fits all. Thrifty NZ is a great example of how each part of the business needs to understand how a tool like Yammer can help them solve their unique business challenges and achieve their specific goals. Once two-way relationships are achieved and maintained across an organisation using Yammer, there is greater knowledge sharing, problem solving and innovation. This leads to a greater return on investment, and on a personal level, greater job fulfilment. In Thrifty’s case, if an employee in a car rental office finds out from colleagues in another town that there is snow on the roads and chains are required, he can upsell chains to his customers, bringing an immediate financial benefit to Thrifty. More importantly, customers are safe and as a result, happy and satisfied, which is likely to lead to return business. Our branches are all across New Zealand and they can get very isolated from the rest of us. But by having Yammer it just brings everybody in together as a company. It means that you’re not leaving anybody out or they’re not being lost down in Invercargill or up in Whangarei. We’re all part of one team."